Wave Exceed Tour 3 maybe? Bolt 6. Sadly discontinued last month. Their massive amounts of stability have saved my ankles more times than I can count and grip even at 100% humidity. Right? I just did 9 sets yesterday and the after effects with my Bolt 6 shoes was only mild abrasion soreness due to my dumb choice of wearing cheap cotton socks. I have extremely high arches and super narrow feet, and they work for me.. It has been about 3 months since my purchase of Wave Exceed Tour 3 Clay shoes. The comfort and support are still definitely there. However, the traction is fading faster than my previous Gel Resolution and Barricades. Now, to be fair, I got the Clay shoes but play on hard courts. Partly because they were cheaper than regular Exceed Tour 3, but also because I was hoping the durability would last longer. Since I haven't tried the Exceed Tour 3, I can't compare directly. I have been playing approx. 3-4 times as week logging in 10-14 hours per week. Playing both singles and doubles. I had Exceed 2's in both clay and all court version. The all court lasted about 5 months for me, (playing 3-4 times a week on hard courts) and the clay are still in rotation at my club (har-tru courts). I can't wait to get my hands on the Exceed 3's in the newer colorways. Some are on sale now at Tennis Warehouse Europe and Smash Inn. If money were not an issue which would be your go to shoe? Barricades, resolution or exceed ? That's a tough question. Because I have narrow and flat feet, Wave Exceed fit me the best and gives me the most comfort. However, I think the durability may be lacking compared to the Barricades. Barricades are built like a tank. 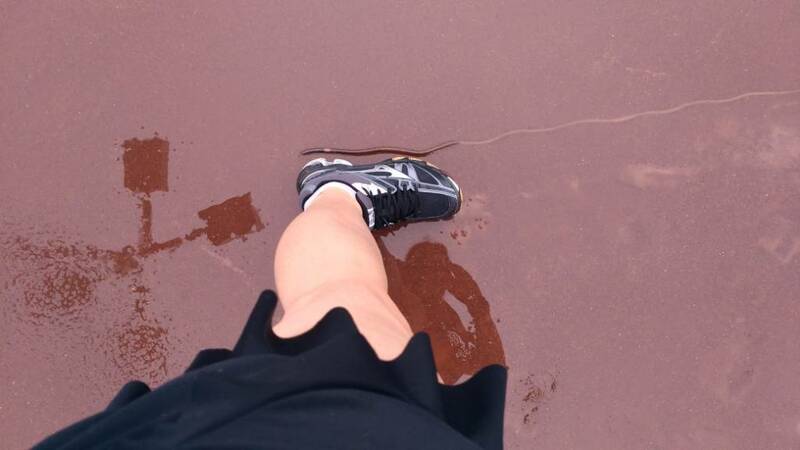 I don't think its fair to judge durability based on using a clay shoe on hard courts. Personally found the all court version to be pretty durable. And the clay court one (when used on clay) has incredible traction and will last a very long time. I agree dave, I have not tried the all court so I am limited on my comparison. In Japan at the moment. I've been going around all kinds of tennis shops here, big chains and small shops trying to get my hands on some mizuno gear (they look great!). To my surprise....they don't stock mizuno anywhere! So they have the usual Nike, Adi etc and also Lacoste, ellese, asics etc like everything but mizuno! In the end, I didn't get anything because I'm not willing to pay the full retail price. I checked rakuten (their ****) and the selection are quite limited because not many shops sell them and they are almost just as expensive as the mizuno shop. They are made in the Suminoe Ward of Osaka. If you are in Osaka, you might be able to get some beter information and even give some input for special sizing. A lot of people near me worked near me there as I lived in neighboring Sakai. It is very hard to find stores/shops that carry Mizuno shoes and clothing. They used to make great items and they were available at a lot more locations. Not so much now. The other brands have pushed them out of the area for some reason. I had a friend that owned a sport goods store so he carried Mizuno equipment and had it on hand for me. He retired and sold his business and the new owners tried changing things in the store to the point they went out if business. Darn shame. I have noticed that stored that only carry lines from companies that spend the most on advertising always fail unless they have millions in capital, like your typical big box stores. That is why people who know, don't buy from those stores. Most Mizuno stores I have found are the smaller stores. I personally buy direct from Mizuno. Mizuno shoes seem to be very popular but do they also make nice T-shirts ? Mizuno is now carried by Tennis Warehouse. Big Kahuna, nice find! Seems that it's just the newest shoes and non of the older models. But that's a good start. You can still get the older models on the TW Europe side, many older ones are on sale. Can anyone comment on the sizing? Safe to say that a size 10 of a Mizuno *volleyball* shoe would be "very similar" in size to a size 10 of a Mizuno *tennis* shoe? More substantial/supportive than both, IME. Hell Mizuno is expensive for what it is. Thankfully they are on sale at the moment, albeit a 0.03% discount. You should watch the SA video review. I believe at least 2 of the reviewers commented that they ran a little long and that they would go a 1/2 size down if they were to use them in the future. I haven't tried them on, but may do so in the next couple of weeks. Correct, the Exceed Tour 3 runs slightly long. I'm usually a 9.5 US but went down to 9.0 and the fit is perfect. Just fyi, seems that the TW Europe site is selling the same new shoes for a cheaper price. Wave Exceed Tour 3 from the U.S. site $139.95. TW Europe 99,92 or $113, even with shipping costing more, it is still cheaper.